Whisk eggs until well combined. Heat coconut oil in a medium skillet. Add eggs and swirl in pan constantly going around the edge with a rubber spatula until it has set and cooked through. 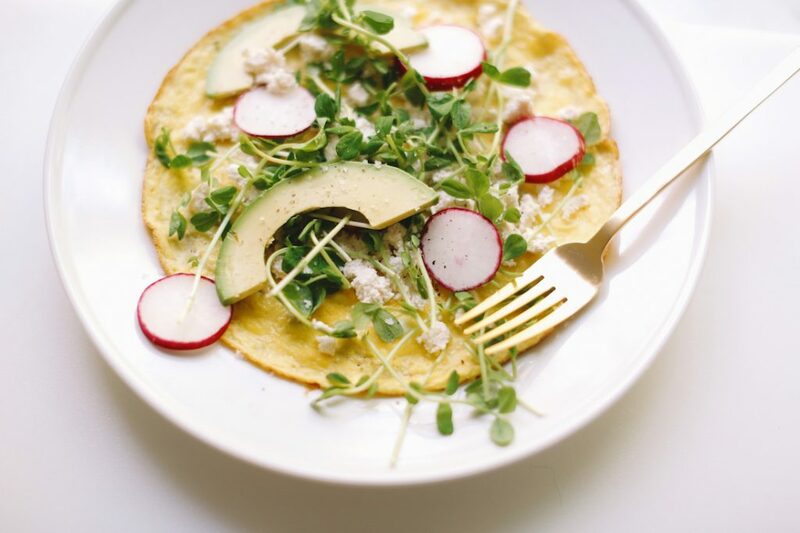 Carefully slide onto a large plate and top with small dollops of ricotta and top with pea shoots, avocado, and radish. Serve with one piece of toast or 4 GG crackers.